Does your child want a pony for their birthday? How about 41 of them? And a lion! 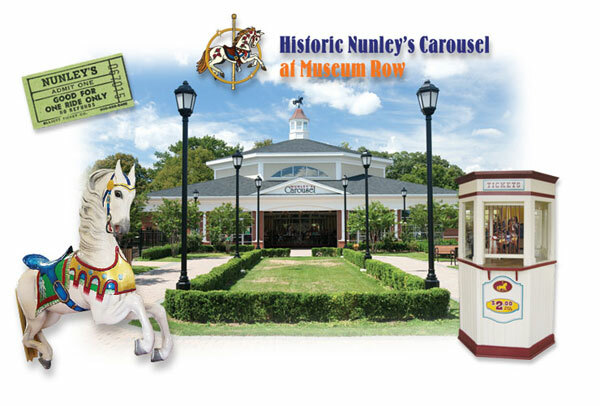 Make their wish come true for a few hours at Historic Nunley Carousel. Parties include pizza, soda and juice for the kids, paper goods, a set of invitations and unlimited rides on the carousel with the ring machine! Parties are available from 10:00 am-12:00 pm on Saturdays and Sundays before we are open to the public or from 1:00-5:00 pm while open to the public. 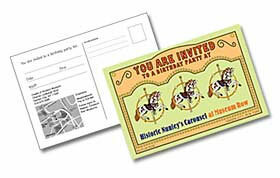 1.5 hour party where you make a wood carousel horse and ride the carousel ‘til your hearts content! A 2 hour party where you ride the carousel, make glittering crowns and play indoor and outdoor (weather permitting) games! A 2 hour party where you create your own pool noodle stick horse, ride the carousel and play indoor and outdoor (weather permitting) games! Call reservations at 516-572-4066 (Mon-Fri, 10-4) to reserve your date, or use the contact form below. Let us know the date(s) you are interested in via the contact form below and we'll get right back to you!